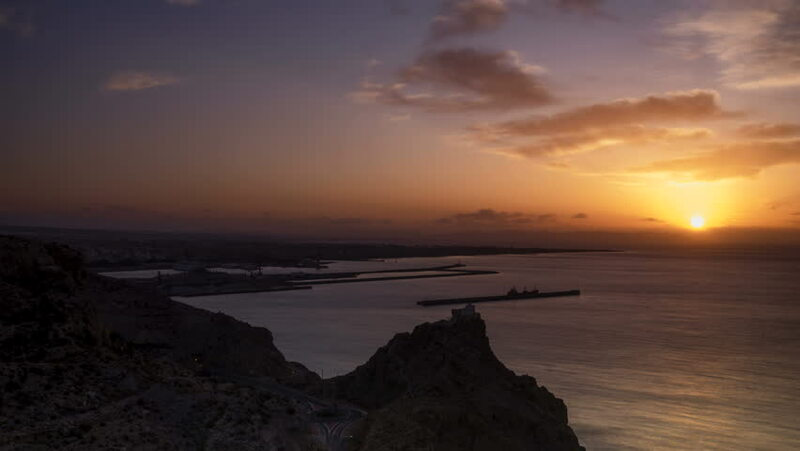 Beautiful Timelapse of a sunrise by the lighthouse of San Telmo, in the background the city of almeria and its harbour. hd00:24Beautiful summer sunset near the sea. Sun goes down with beautifel colors in the sky. Beauty near the sea. 4k00:08Beautiful orange sunset on the Ocean. Aerial view.